Find the small appliance parts you're looking for to make your own repairs for blenders, carpet cleaners, mixers, coffee malers, espresso machines, shavers, vacuums and much more. 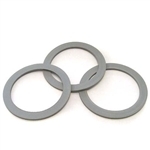 Oster Blender Gaskets (3) 083422-050-000. 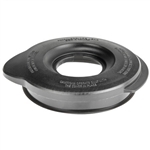 Blender gasket fits most Oster Blenders and all Oster Kitchen Centers. Oster Blender Jar Base Cap 148381-000-090. 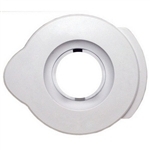 Blender bottom cap fits most Oster Blenders and all Oster Kitchen Centers. KitchenAid Blender Gasket 9704204. Rubber Blender gasket fits most early KitchenAid Blenders. Oster Blender Lid 124462-000-805. 5" Round White Blender Lid fits Oster Blender jar 124461. Oster Blender Lid 124462-000-090. 5" Round Black Blender Lid fits Oster Blender jar 124461. Genuine Remington SP-4 Shaver Saver Spray Cleaner, 3.8 Oz. Genuine Remington CC100A Power Clean shaver cleaning solution with replacement filter. Genuine Remington CC100REM Power Clean advanced shaver cleaning solution. Krups Beer Tender Pour Spout MS-621845. Plastic threaded pouring spout / nozzle for Beer Tender models VB5020 and VB5120. Krups threaded aluminum retainer nut for food grinder models. This retaining ring fits Moulinex and Regal meat grinder models as well. 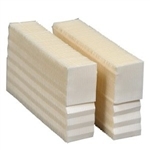 Genuine #1044 Bemis Essick Air replacement wick filter for evaporative humidifier models. 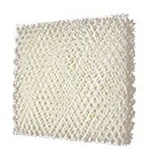 Genuine HDC-3T Emerson MoistAir humidifier filter wick (HDC3T) for use in Moist Air humidifier models. 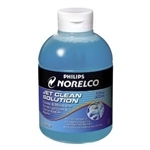 Norelco HQ200 Jet Clean Solution for Clean and Charge shaver models, 10 Fl. Oz. Genuine Remington SP-5 Face Saver Pre-Shave Powder Stick. Krups Espresso Machine Boiler Barista Seal MS-5015004. Black rubber gasket fits Krups super automatic espresso machines. KitchenAid Blender Coupling 9704230. Rubber threaded Blender coupler fits most early KitchenAid Blenders. Krups Beer Tender Lid Latch MS-621823. Plastic hinged latch is closure for Beer Tender models VB5020 and VB5120. Krups Espresso Machine Power Button (Silver / Gray) MS-0675088. Plastic power button fits Krups super automatic espresso machines. Krups Espresso Machine Power Button (Black) MS-0675141. Plastic power button fits Krups super automatic espresso machines. 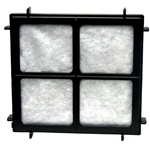 Genuine #1050 Bemis Essick Air replacement aircare filter for table top evaporative humidifier models. Genuine Pair HDC-2R Emerson MoistAir humidifier filter wicks (HDC2R) also fits Sears Kenmore table top humidifier models. Krups Stainless Steel cutter blade for food grinder models. 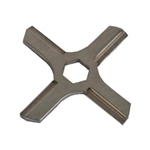 This cutting blade fits Moulinex and Regal meat grinder models as well. Krups Espresso Machine Frothing Nozzle MS-0A01531. This attachment part mounts on the steam arm and provides frothing pressure to fit many Krups automatic espresso makers. Genuine #1970 Bemis Essick Air Bacteriostatic treatment (32 FL OZ). Remington Shaver Charger Cord RP-00113 for some MS2, some MS3 and other models. 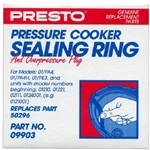 Presto Pressure Cooker gasket 9901 fits many older Presto Cooker models. Sealing ring comes with a new over pressure plug. Presto Pressure Cooker gasket 9902 fits many Presto Cooker models. Sealing ring comes with a new over pressure plug. Presto Pressure Cooker gasket 9903 fits many Presto Cooker models. Sealing ring comes with a new over pressure plug. Presto Pressure Cooker gasket 9906 fits several Presto Cooker models. Sealing ring comes with a new over pressure plug. 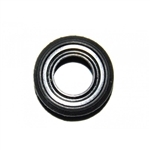 Presto Pressure Canner gasket 9905 fits several Presto Canner models. Sealing ring comes with a new over pressure plug.